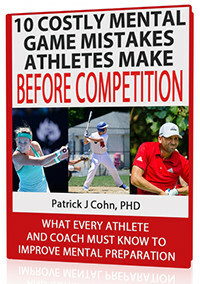 “The Focused Athlete” Program – Yes Dr. Cohn, I want The Focused Athlete Program with free bonuses. Send me the CDs and Workbook. I understand you’ll also send the link to download the bonuses immediately. These bonuses combined are worth $45. I know that this program would sell for over $200 retail, but you are offering it to me at only $89.00 today (plus shipping costs). I understand that this program will help me improve my focus in just 14 days. always 100% safe with us. We’ll guard it with our lives! 1-888-742-7225 and we will be more than happy to help you.